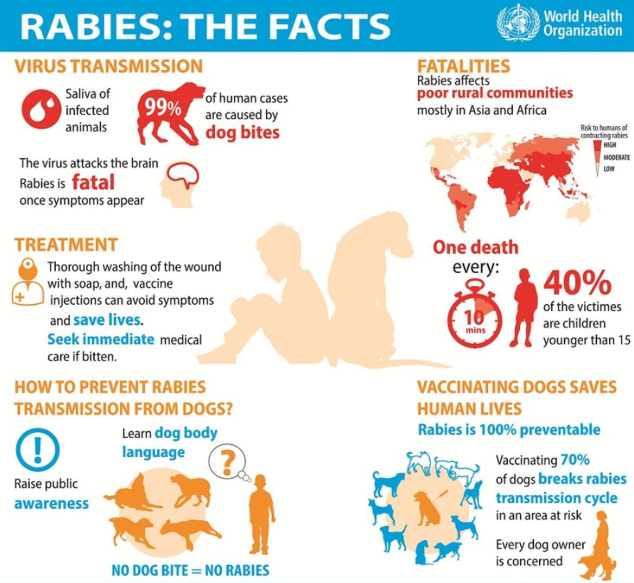 World Health Organization factfile on rabies. KUCHING: Rumah Isa Nanga Belansai, Sengaih in Julau has been declared the 47th rabies-infected area in Sarawak. Deputy Chief Minister Datuk Amar Douglas Uggah Embas, who is also the State Disaster Management Committee (JPBN) chairman, said the longhouse is within the 10-kilometre (km) radius of point zero – the spot where a dog with rabies virus was found. Members of the public has been advised not to let their dogs out of the 10km radius without permit from the State Veterinary Authority, he said. Those who breached this regulation will be penalised with a fine of not more than RM5,000 and a maximum jail penalty of three years or both upon conviction, said JPBN secretariat through a press statement yesterday. The offence and penalties are provided for by Section 37 (2) & (3) of the Veterinary Public Health Ordinance 1999.